along with his utilization of chiropractic care are well documented and vital to his success. While healthy eating and fitness seem like common sense, so is the importance of a healthy spine and nervous system. This is the reason why so many players from the New England Patriots and Philadelphia Eagles will be receiving chiropractic care all season and of course leading up to the big game. Chiropractic care helps athletes in every sport heal quickly and optimize performance. Many of the greatest of all time have set this precedent. Current Hall of Famers Emmitt Smith and Jerry Rice are huge chiropractic advocates. Emmitt Smith is the leading rusher in NFL history, a perennial Pro Bowler and three -time Super Bowl Champion. When he retired with over 18,000 yards, Smith said, “I thank God, my family and my chiropractor.” Chiropractic care helped speed his recovery time and function at the top of his game. His career lasted nearly six times longer than the average NFL running back. Jerry Rice is considered the greatest receiver in the history of the NFL. His durability and work ethic are legendary. He initially sought chiropractic care following an injury on the field. After learning about the benefits of chiropractic care from his teammates he made chiropractic care a regular part of his training routine and lifestyle. He is a three-time Super Bowl Champion and today he is an official spokesperson for the Foundation for Chiropractic Progress. His high-level career also lasted six times longer than the average receiver. Another chiropractic advocate, 2012 Hall of Fame Semi-finalist Roger Craig, was a pioneer in the NFL. He is the only player to ever make the Pro Bowl as a fullback and a halfback, the first player to rush and receive for over 1,000 yards in a single season -a feat that took 14 years to be duplicated, and he is the only running back in NFL history to ever lead the league in receptions. He is a three-time Super Bowl Champion and is the only NFL player to make the playoffs for eleven straight years. Like many children, Roger began receiving chiropractic care at an early age and today, like the others, still receives chiropractic Lifestyle Care. In fact, Roger endorsed the #1 bestselling fitness book, The 100 Year Lifestyle Workout, which he recommends for athletes, young and old, because it stresses the importance of a healthy structure, spine and nervous system with chiropractic care as a core part of the training. This helps you maximize your performance, prevent injuries and support your longevity. We’ve all seen videos of old time professional athletes who pounded their bodies into submission and became cripples when their career was over. This is not true for these three athletic superstars and it is no longer the norm as many professional, Olympic and youth sports programs have chosen to make chiropractic care a core part of their programs and many of the leaders of the Olympic sports medicine team today are chiropractors. All three of these athletes took a tremendous beating over their careers which began in Little League and continued into the pros. 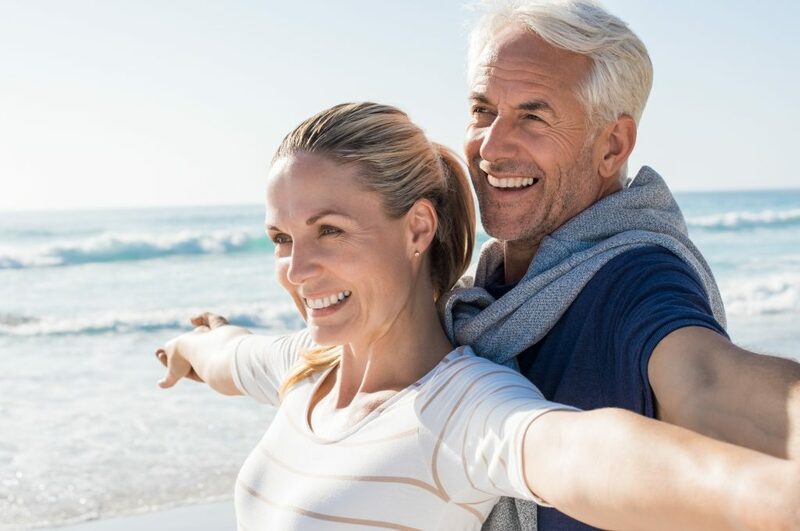 Chiropractic care as a part of their lifestyle, training and overcoming injuries has helped show us all that you can play high-level sports and retain your health after you retire. We may even see you competing on Dancing With the Stars! Don’t wait for an injury. If you’re an athlete or participate in an exercise program, be like these Hall of Fame and Super Bowl Champions. Make Chiropractic Lifestyle Care your top priority. Copyright 2018. The Family Practice, Inc., Dr. Eric Plasker and The 100 Year Lifestyle. All Rights Reserved. Visit our YouTube Channel to watch more great videos from Orange Chiropractic & Family Fitness. And if you’re interested in learning more about the 100 Year Lifestyle, visit the 100 Year Lifestyle channel on YouTube.